This brushed band is ideal for those who prefer a non-shiny finish. 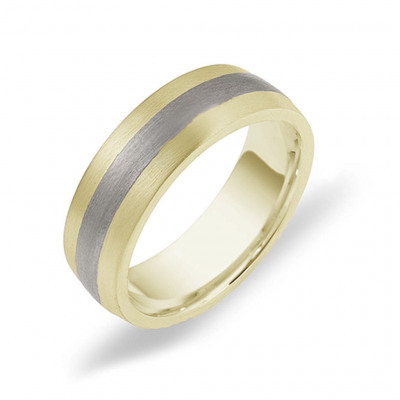 It features a titanium center surrounded by gold side sections, which are available in 10 kt or 14 kt and white or yellow gold. 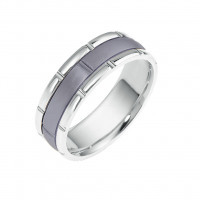 The inside of the ring is high polish and comfort fit, for easy-wearing elegance all day long. The ring can be ordered in whole mm widths from 6 mm to 8 mm. Please use our filter to find your perfect combination, or contact us if you cannot find what you're looking for.